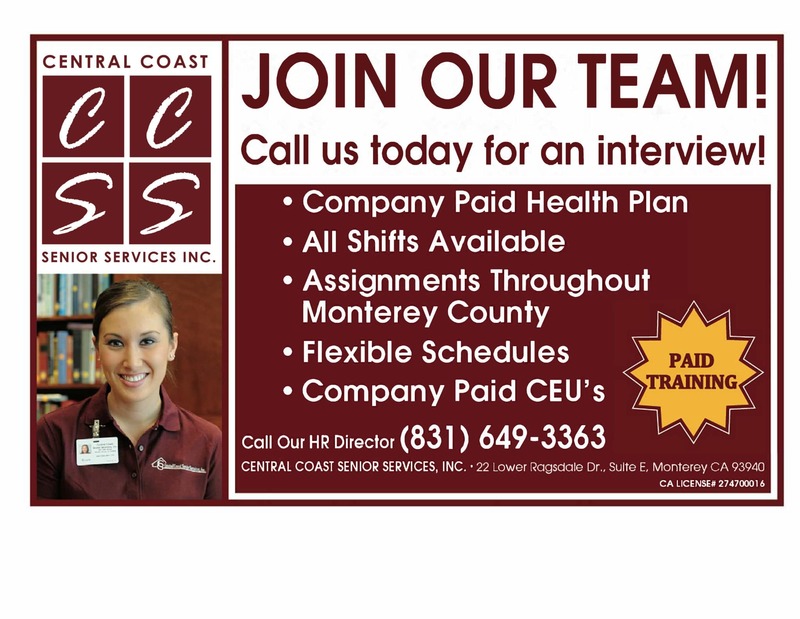 For Professional Partners | Central Coast Senior Services, Inc.
A network of professionals — including social workers, medical staff, home health aides, and legal professionals — must collaborate to provide the best care for our seniors. We work with these partners to coordinate care for our clients and do what we can to make your jobs easier. When you make a referral to Central Coast Senior Services, Inc., one of our Home Care Managers can meet with you, your client, and family at the hospital or in the home to perform an assessment and develop a plan of care. You can enlist our Home Care Managers to provide Case Management when your client would benefit from professional supervision or management of care, with or without the need for a Personal Attendant. We will be your reliable “boots on the ground” to ensure that your client is eating well and making their doctors’ appointments. We communicate with you effectively and efficiently to keep you apprised and respond to your concerns. Our Home Care Managers are available, 24/7 for emergencies and crisis management. When you call, you will get a real live professional, not an answering machine or voice mailbox. The normal supervision provided by our Home Care Managers far exceeds that provided by most other agencies. This comprehensive case management is always included with our Personal Attendant fees. At Central Coast Senior Services, Inc., we understand that discharge planners and social workers have challenging jobs with multiple responsibilities. We are here to make your job easier by providing excellent service to your patients and their families, communicating with you fully as the discharge progresses. When you make a referral to Central Coast Senior Services, Inc., one of our Home Care Managers can meet with you, in your facility, usually within a matter of minutes. We can oversee transition from the hospital. This ensures the implementation of discharge plans and collaboration with home health or hospice agencies. We are happy to provide the personal contact that eases the anxieties of patients and their families. Contact one of our Home Care Managers today to learn more.